Somebody on the /r/Ukulele subreddit recently asked for recommendations on YouTube channels for learning ukulele. 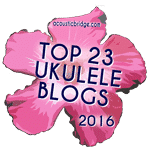 There is such a flood of ukulele tutorial videos out there, many of which are not of the best quality. However, some of them are truly great, and many of these have been collected in this Reddit post. Here’s the post: What’s a good YouTube channel for a total newbie to learn the ukulele? FYI. I notice you have Mike Lynch named as one of your top picks. Over the years I have purchase several of his books and have enjoyed them immensely. However, the last two items I purchased were not received and, even though I’ve tried numerous times to contact him with receipts, I receive no response. Sorry, to hear that Donald. Have you tried him on Twitter?